Meaning “a lot” or “many” in Italian, Molto aims at providing a fun and energetic atmosphere paired with great Italian fair and an adventurous wine list. 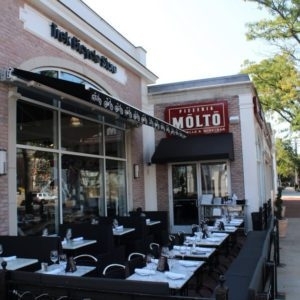 Owned and operated by Nick Racanelli Sr, Dan Camporeale and the Racanelli family, MOLTO is a one-of-a-kind dining experience. traditional italian fair meets a chic New York City dining scene and a 1950’s roman café decor. 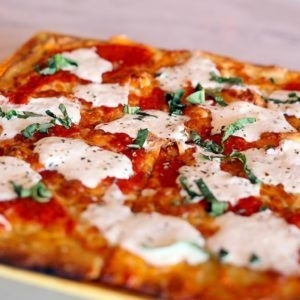 With seasonal outdoor dining directly on the Post Road, Classic Italian movies and a 40 foot Carrera marble bar, MOLTO is the perfect place to enjoy innovative Italian cuisine, tapas and wine all in a fun and energetic atmosphere – all in downtown Fairfield. Great service. The food was great. You can tell all the ingredients are high quality just by the taste of the food.